Indian Army Recruitment 2019 - Apply Online for Danapur Recruitment Rally 2019 in Indian Army, Army Recruitment Rally will be held for eligible candidates of all Districts of Bihar and Jharkhand on 11 Mar 2019 at New Constructed Complex of Headquarters Recruiting Zone (Bihar & Jharkhand), Near Chandmari, Defence Colony, Danapur Cantt. Online registration is mandatory and will be open from 06 Feb 2019 to 07 Mar 2019. Admit cards for the rally will be sent through registered e-mail from 07 Mar 2019 to 10 Mar 2019. Online Applications are invited by Indian Army from 06 Feb 2019 to 07 Mar 2019. Indian Army Danapur Result CEE of 24 Feb 2019: Indian Army has announced the Result on 09 Mar 2019 for Indian Army Danapur Exam CEE of 24 Feb 2019 which was conducted on 24 Feb 2019. 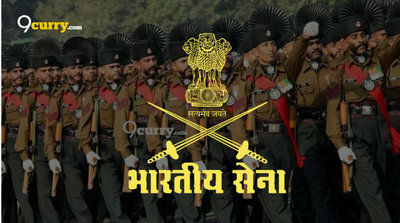 Eligible candidates may apply online at Indian Army's website (direct link is given below) from 02 Feb 2019 to 07 Mar 2019.